I metre of organza ribbon in Sage Green with a beautiful sheen. Sold by the metre it measures 9mm/(3.. 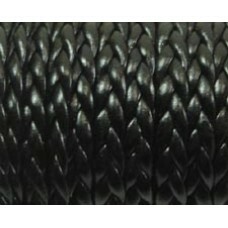 I metre of organza ribbon in Sheer Black with a beautiful sheen. Sold by the metre it measures 9mm/(..
1m Metallic Tubular Stretch Ribbon Teal Turquoise. Metallic Tubular Ribbon Metallic .. I metre of organza ribbon in Claret Red with a beautiful sheen. Sold by the metre it measures 9mm/(3..
1m Metallic Tubular Stretch Ribbon Champagne. Metallic Tubular Ribbon Metallic Tubul.. I metre of organza ribbon in Rose Pink with a beautiful sheen. Sold by the metre it measures 9mm/(3/.. I metre of organza ribbon in Soft Blue with a beautiful sheen. Sold by the metre it measures 9mm/(.. I metre of organza ribbon in Intense Lavender with a beautiful sheen. Sold by the metre it measures .. I metre of organza ribbon in Violet with a soft sheen. Sold by the metre it measures 9mm/(3/8) acros..
1m Metallic Tubular Stretch Ribbon Rose Pink. Metallic Tubular Ribbon Metallic Tubul.. I metre of organza ribbon in Pure White with a beautiful sheen. Sold by the metre it measures 9mm/(3..